Ayesha Saleem, the Talent Acquisition Specialist, Standard Bank came on Lahore School on November 23, 2012 and conducted the test for the Standard Chartered Bank International Graduate program, Consumer Bank Fast Track program and Local Graduate program 2013. She explained the hiring process to the students and discussed the role of banking in the growing economy. 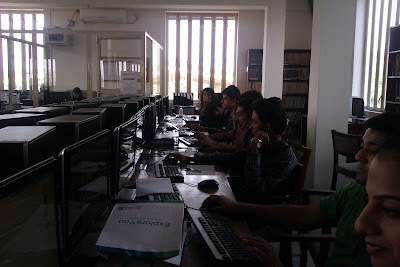 The on-line test was held in the Main Library and it was attended by more than hundred students from both bachelors and masters programs of Lahore School. 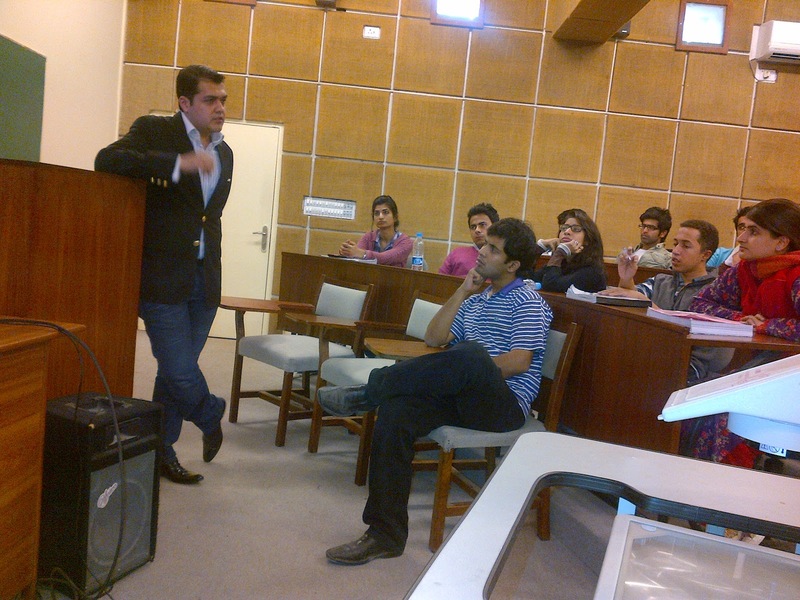 Ahmad Waqar (Lahore School Alumni of 2010) visited his Alma Mater and gave a talk to MBA graduating Class of 2013. He threw light on the Investment Banking in Pakistan and also discussed the job prospects in the Banking Sector. He briefed students about the expectations of the employer from the fresh graduates, and gave some useful tips on interviews and resume writing. Rocket Internet, the international online venture builder came to Lahore School of Economics on November 21, 2012 for hiring for their Food Panda business which is being recently launched in Lahore. Aleena Ahmed, the HR Manager spoke about the hiring process and the potential of hiring young graduates in the organization. The presentation was followed by on campus interviews. 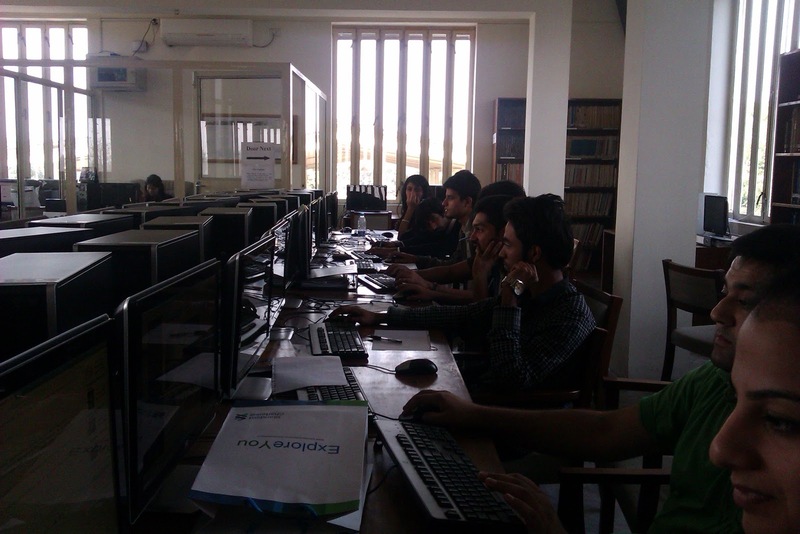 The fresh graduate guide session was held in the SBS library on November 16, 2012. 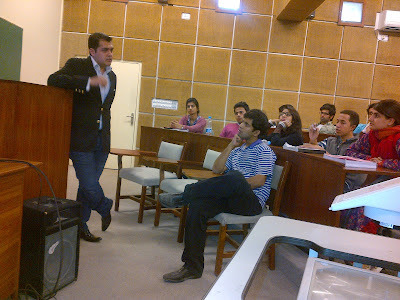 Total of 150 MBA students with majors in Marketing and Finance attended the session. Asmara Mashood - Lahore School Alumni from MBA 2004 - from USAID who is working as CEO of Women Empowerment Programme was the guest speaker. Asmara expertly guided the student’s about the dynamics of the current market trends and how to deal with them as fresh graduates - by Tayyaba Kamal. 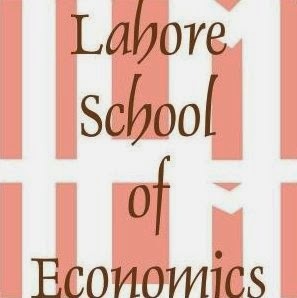 Teach for Pakistan has selected four students from the Lahore School of Economics to serve as Campus Ambassadors for the 2012-2013 academic years. The primary purpose of Campus Ambassadors is to assist the Teach for Pakistan Recruitment team in their search for outstanding candidates for their fellowship. The fellowship is a two-year paid position where recent graduates and young professionals are hired to teach for two years in under resourced schools with a mission to tackle the problem of educational inequity in Pakistan. Before they begin their role, all Campus Ambassadors must undergo a mandatory training with members of the team. The training for Lahore School students was held on November 13, 2012 at the main campus. The purpose of this training was to give Campus Ambassadors a comprehensive overview of the program as well as the role and responsibilities of a Campus Ambassador. 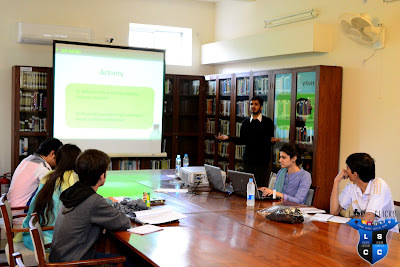 During the training they discussed how to better use their marketing and networking skills in creating awareness about the Teach for Pakistan Fellowship at Lahore School of Economics and assisting the staff when carrying out on campus activities such as information sessions, career fairs and information booths - by Rabia Suhail. 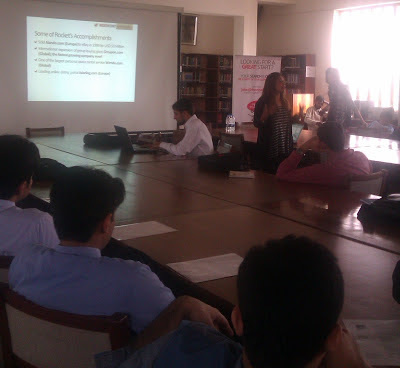 The KO Management trainee session was held on November 13, 2012 at Lahore School in the SBS library. The session started off with an innovative and attention grabbing video on the origin of Coke. 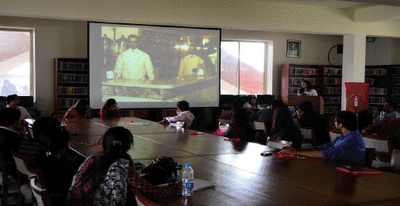 HR team of Coca Cola explained to the MBA students the entire recruitment process. 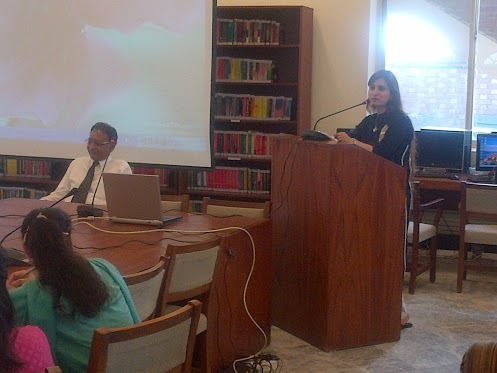 The Alumni working at CCPBL were then invited to give a small briefing to the students. The presentation was followed by the KO trainee assessment test. 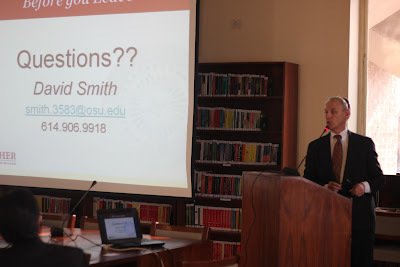 David Smith from the Ohio State University, US along with a team of senior representatives from the United States Educational Foundation in Pakistan (USEF) visited Lahore School of Economics and gave a presentation to the Lahore School’s BBA/BSc Hons students on November 05, 2012. 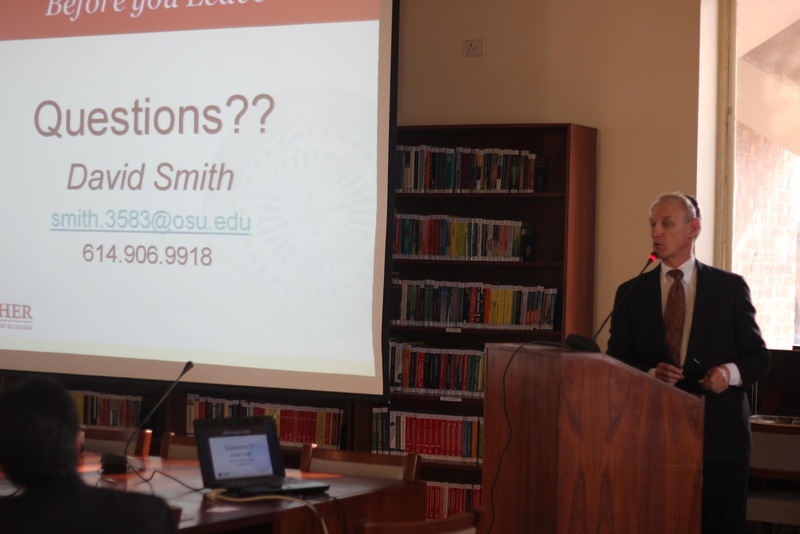 The presentation was about applying to the Fisher College of Business at Ohio State University, its admission requirements, scholarship opportunities and the overall benefits of pursuing a business degree in the US which was followed by an interactive questions and answers session with the students. The team from the USEF consisted of Shazia Khan, the Manager, Fulbright Outreach and Educational Advising, Seemi Khosa, the Senior Educational Advisor and Lubna Shah Anwar, the Education Advisor, U.S. Consulate General Lahore. 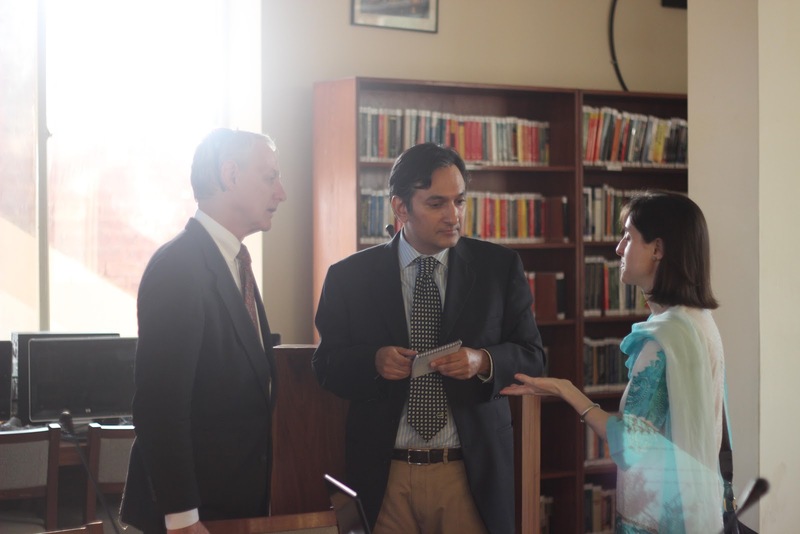 Dr. Azam Chaudhry, the Dean of Economics and Dr. Theresa Chaudhry, the Associate Professor also attended the presentation - by Saman Khan. Usman Khalid, the Joint Director Training Organization and Development, the Security and Exchange Commission of Pakistan along with his team conducted an interactive information session for Lahore School students of MBA and MSc (Economics) on November 7, 2012. The team consisted of Natasha Jehangir, the Joint Director and Departmental Head, Litigation and General Counsel, Mian Ahmed Ibrahim, the Joint Director, Litigation and General Counsel, Sajjad Ali, the Deputy Director, Policy Regulation and Development Department (Securities Market Division), Umar Yahya, the Assistant Director, Chairman Office and Syed Sajjad, the Assistant Director Enforcement.